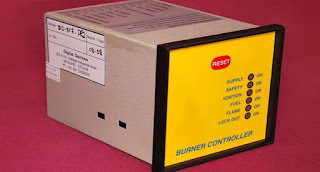 UV flame sensors are used to detect the flame or fire in various areas. They are widely used in the industrial areas that has equipped with boilers and burners. It is also suitable for outdoor application because it has excellent weather resistant capabilities. 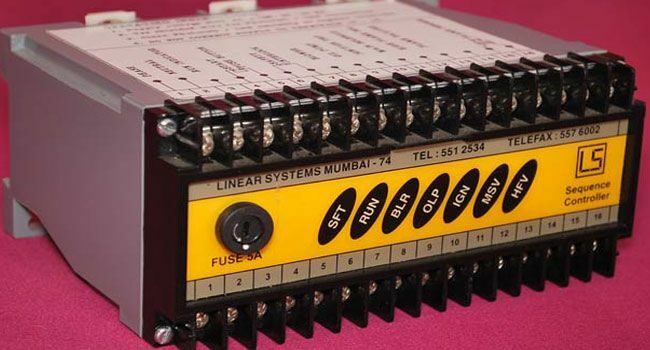 Linear Systems is the most renowned Burner Controller Manufacturers in the global market area, since 1986. We are manufacturing high quality products for specific applications in various industries and plants. We are engaged in manufacturing Burner Controller, Sequence Controller, UV Flame Sensor, etc. We are working for utmost customer satisfaction. Wide Application: The use of flame sensors is not restricted to the burners and boilers. They are also used in various industries like pipelines, tank forms, furnaces, flare controls, chemicals and petrochemical industries, etc. Detect Flames: The foremost function of installing the device is; fast detection of presence of the flame and fire within the near distance. It is weather proof and fire proof. We are the well-recognized UV Flame Sensor Manufacturers in the global market area. You can rely on the quality we serve without having any second thoughts. We also offer two years warranty with our complete product range. You can send us enquiry to know more about the products or to place your order. What Are The Benefits Of Installing A Boiler Sequence Controller? There are many buildings which have a single boiler while others have many boilers for the reliability. Organizations that have more than one boiler save the cost, space, considerations, operator codes etc. One of the major benefits is energy efficiency. If they are not installed for the energy efficiency purpose, they must be installed for providing potential energy savings. Since 1986, Linear Systems is a noteworthy organization and leading as Boiler Sequence Controller Manufacturers in the marketplace. While choosing the device always consider the load conditions and match that with the most efficient boiler combination. The boilers are most efficient with a full load; however, the remaining boilers don't suffer any efficiency reduction. Install controller which has an automatic startup and shut down facilities. It can control the mainstream pressure and temperature at once. It saves fuel while eliminating the idle time spent at low fire. For a facility, the steam or hot water supply is regulated precisely. Without using the controller, each boiler works at its pressure or temperature while not working with the main header pressure or temperature. The life of the boiler is improved as now each boiler can work being the lead boiler for equal hours of service. Linear Systems is the well-organized structure in the market that provides quality products being the Burner ControllerManufacturers. The company has earned the name globally as they are ranking on the top with the quality services provided to the valued customers.